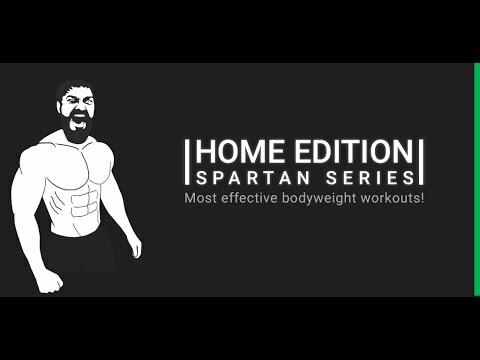 Get in shape with Spartan Bodyweight, no equipment needed! A few minutes a day to build muscle and lose belly fat at home. simple high quality workout routines for beginners and athletes. Each workout is video followed, with all the muscles involved instructions. The purpose of this app is to bring you to the best possible shape at home.No equipment is required to do any of the workouts. These workout circuits will help build your body at home.